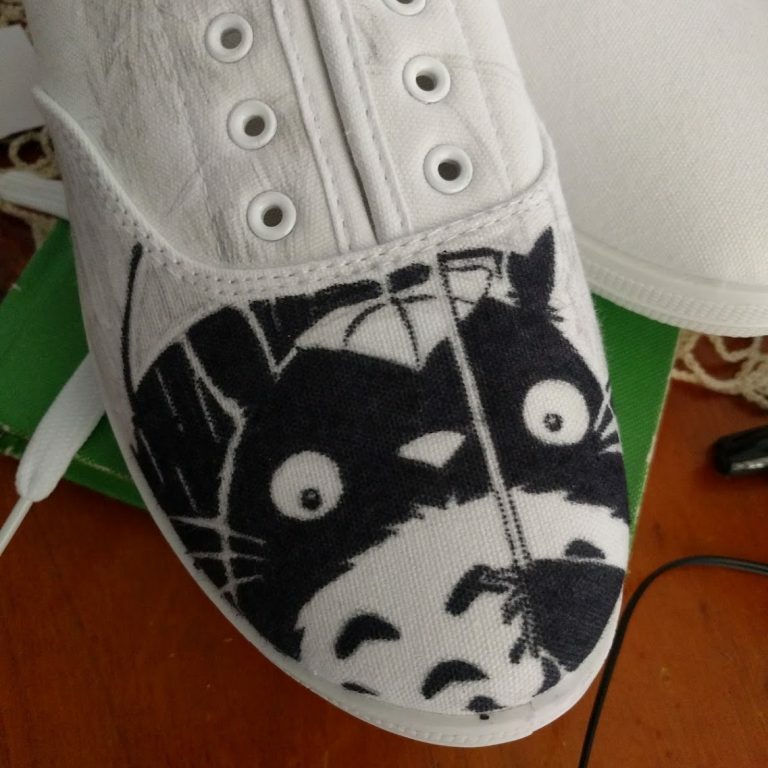 Thought I’d make a few quick notes on how I made my Totoro sharpie shoes, with a Sharpie and a $3.50 pair of white canvas shoes from Kmart. Planning out the composition is a really important step, because Sharpies are permanent. I sketched a bunch of shapes and ideas onto a piece of standard copy paper with a basic mechanical pencil. 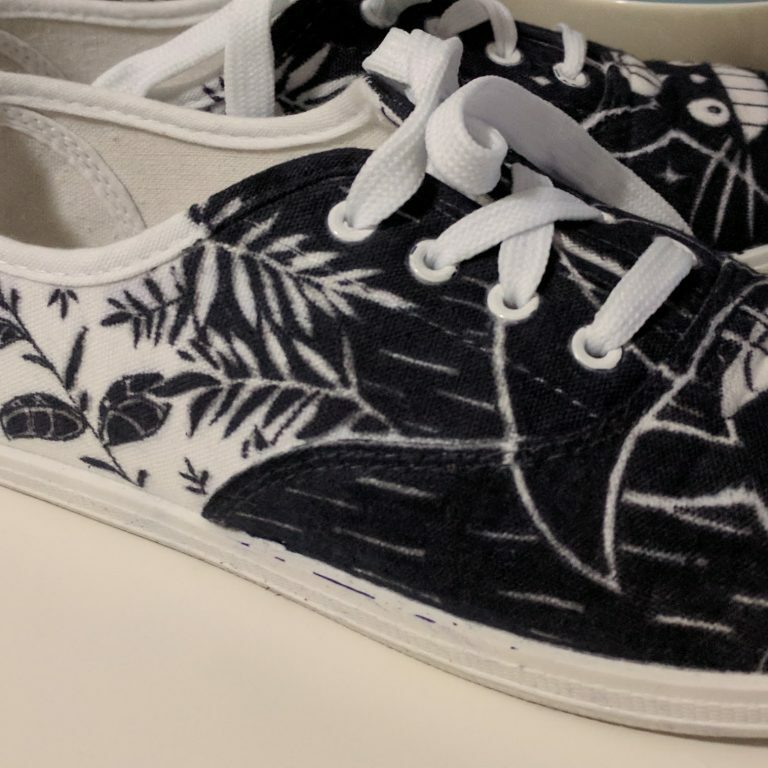 While working out the shapes, I decided that I wanted shoes that were dark at the front and would gradate lighter at the back using leafy shapes to transition it. 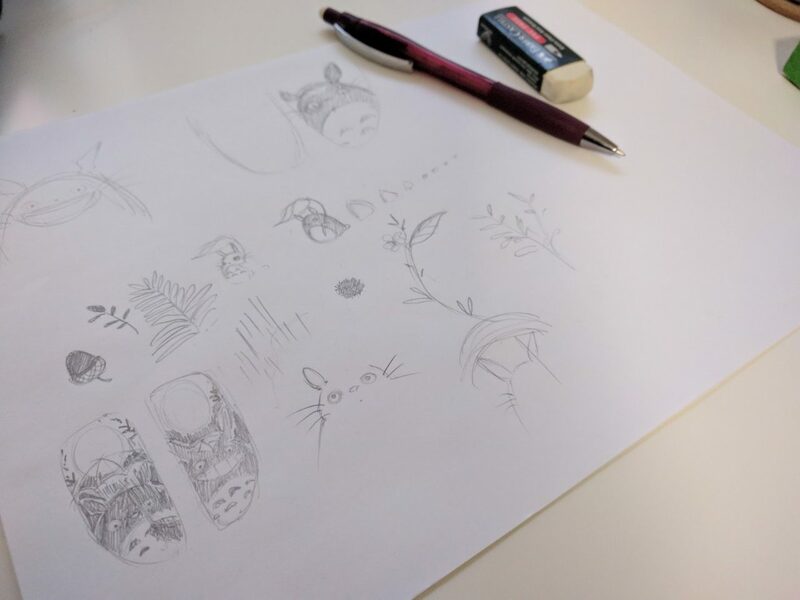 The initial sketches! The final shoe idea you can see in thumbnail form on the bottom left. 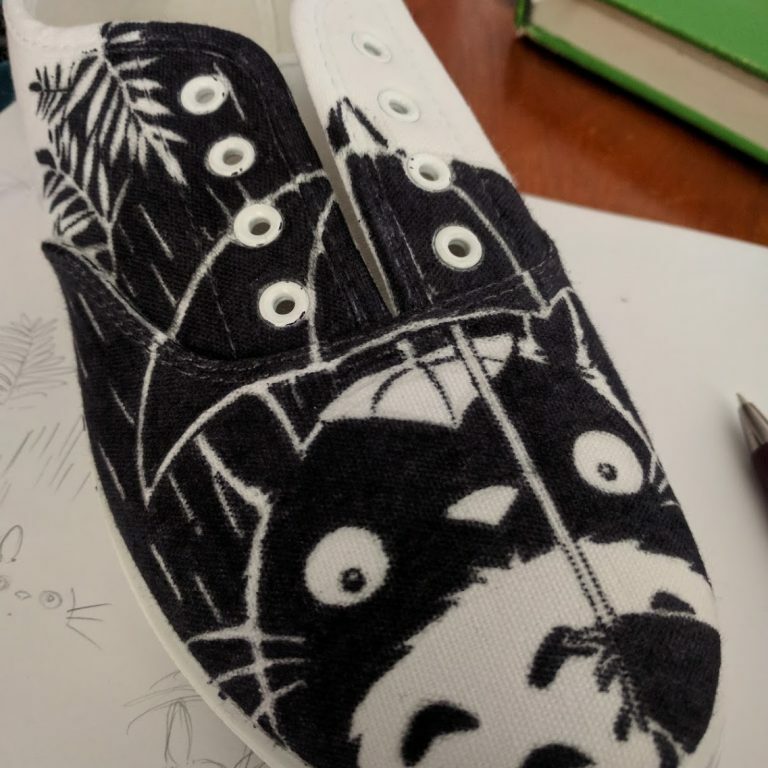 With the plan done, I sketched straight onto the shoes, very lightly in pencil, marking out the dark areas so when I started using the Sharpies, I would know which areas to darken and which to leave light. One of the key things I’ve found with drawing areas needing white outlines is to shade in pencil around the lines. It just makes it a bit easier when it comes to inking and you won’t accidentally connect all the black areas together where you shouldn’t. Drew the pencil sketch and began inking around it with a Sharpie. Further inking, with some of the transitional leaf shapes on the top left left. 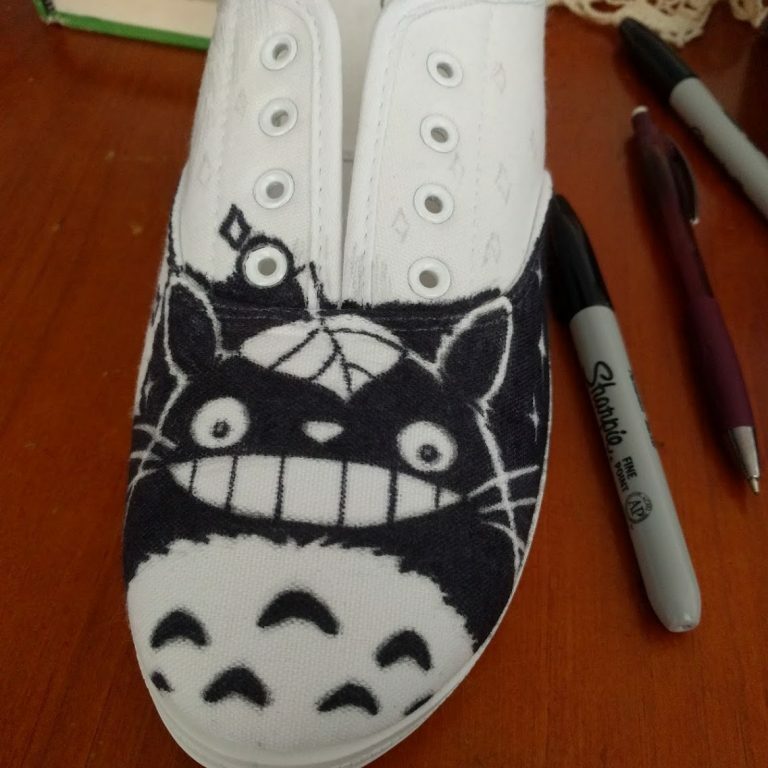 Finished the first shoe! It looks hilarious next to the other completely white one. 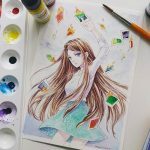 I only have this one photo, but it followed the same process, sketch, then ink. 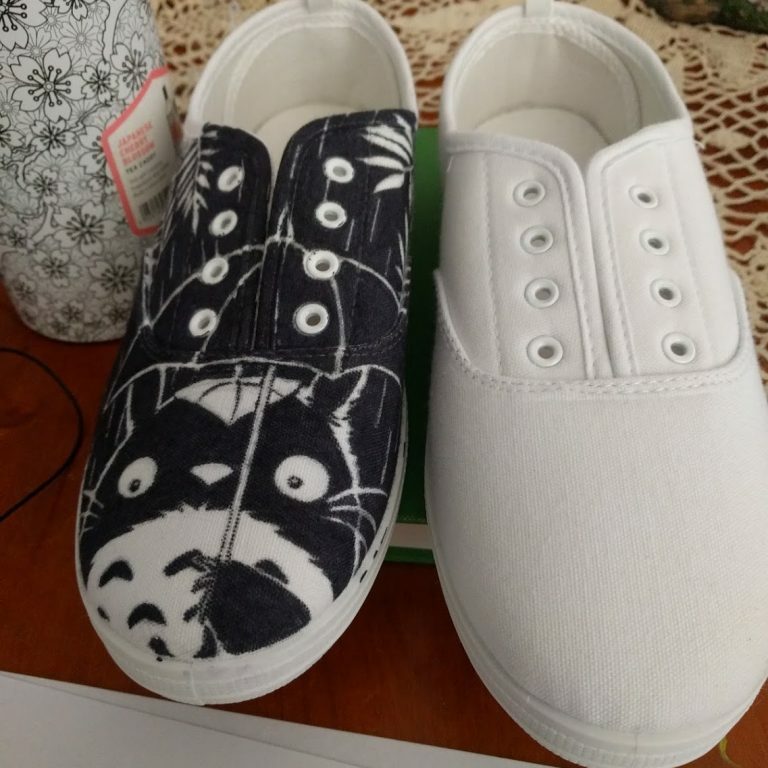 So with both shoes completed for inking, the only thing left to do was to spray them both with fixative so they’d be at least a bit more waterproof. 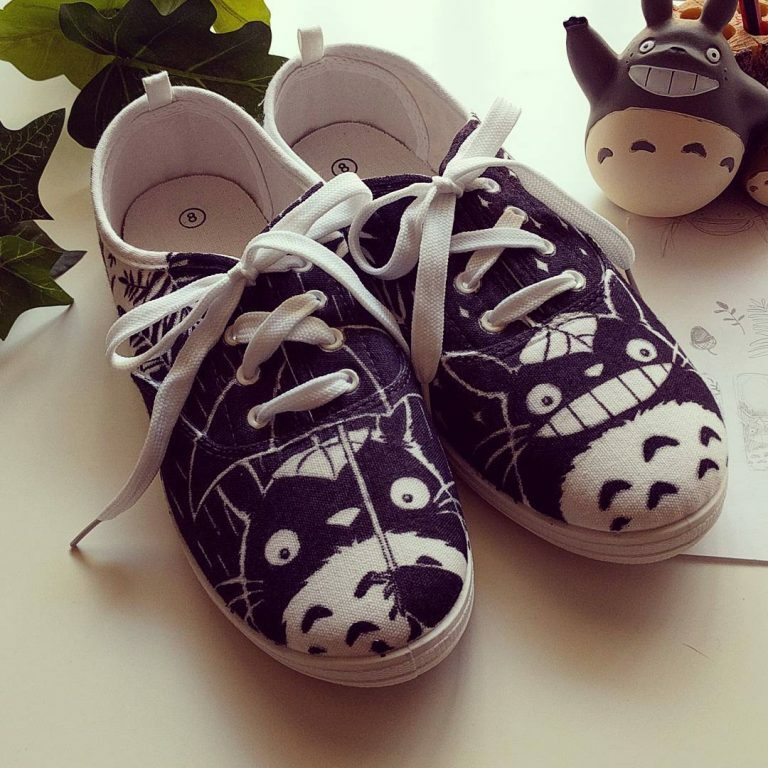 I found that a couple of the details ran a little bit on the front of the shoe, but it’s not noticeable, honestly. Some of the details along one of the sides.